Bosak Auto Group is proud to announce a new construction initiative at our Bosak CDJR dealership in Merrillville Indiana. 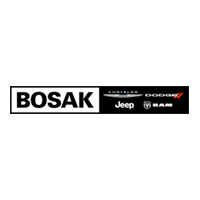 Bosak is the auto dealer that’s been earning the trust of our customers since 1928. We are well-known for delivering an excellent customer experience, whether its new or used vehicles, automotive service and parts. That experience will be taken to the next level by renovations and expansions at our CDJR dealership. We will remain at 3111 West Lincoln Highway in Merrillville, but are quite excited by the dramatic visual changes that are about to unfold. The Bosak CDJR showrooms will be reconstructed and expanded to provide a dedicated space just for Jeep products. The new showrooms will spotlight the newest CDJR technologies and create a pleasant, stress-free environment for shoppers. We will add more than 6,000 square feet of space, including a new, separate Jeep showroom that will be connected to the Chrysler, Dodge and RAM showroom via indoor and outdoor walkways. The new showroom acknowledges the uniqueness of Jeep buyers who are fans of the very special functionality of these vehicles, and the Jeep showroom will benefit from a layout and design as exclusive as the Jeep nameplate. When completed, Bosak CDJR will have the only dedicated Jeep showroom in Northwest Indiana. Improvements are also coming to the Bosak CDJR service and parts departments to make them more convenient and comfortable. We will create a new, larger waiting room that contains more technology for today’s connected consumers. In addition, we are redesigning the service area’s entryway to ease customer access. We are also redeploying our administrative offices to the new upstairs level, leaving more room on main level for customers considering the purchase or lease of a vehicle. All Bosak CDJR departments will remain open at our Merrillville dealership during the construction project, which is scheduled to run from October 2018 to June 2019. We have carefully planned the work to ensure our customers are not inconvenienced during construction. The Bosak Auto Group is evolving so that we can continue to offer the best sales, selection and service. You will love the bigger and better Bosak CDJR dealership, which remains dedicated to providing our customers with an exceptional car-buying experience. Come on in and see for yourself!